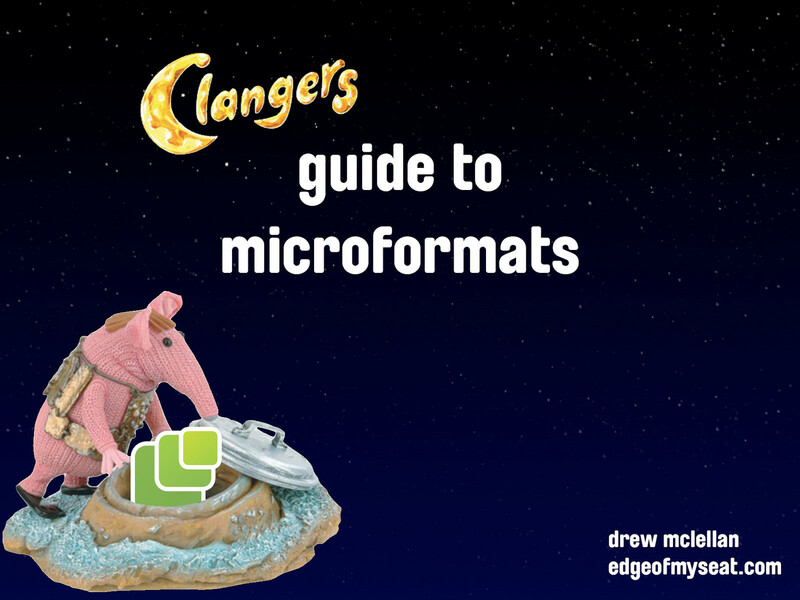 View The Clangers Guide to Microformats on Notist. A 5 minute microslot presentation introducing the concept of microformats at Oxford Geek Night 7.
is heading off to Oxford Geek Night to present The Clangers Guide to microformats. Pip pip! will see @drewm there - and is actually looking forward to learning more about microformats.